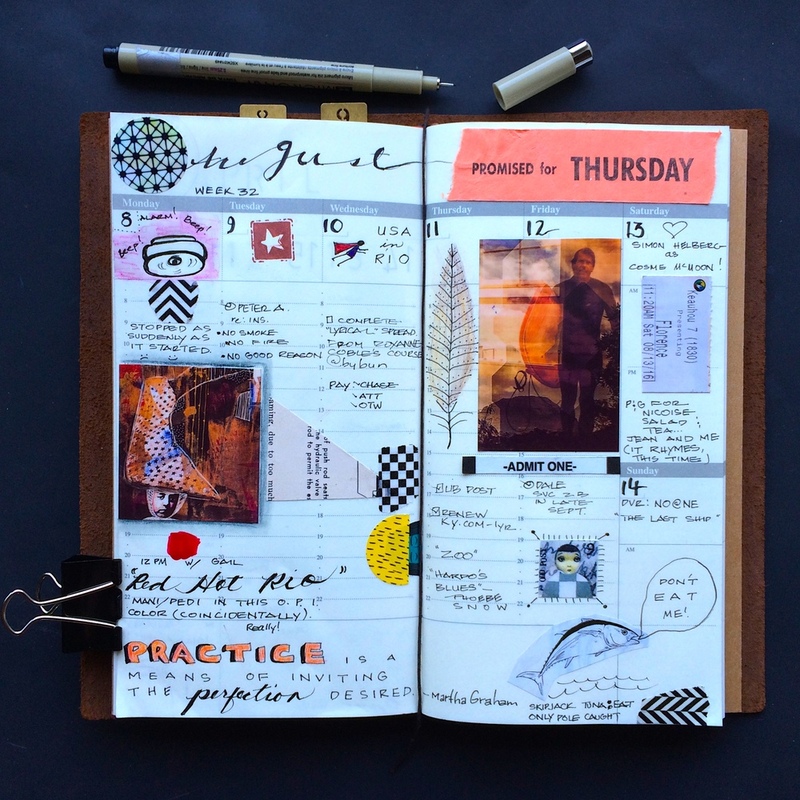 Finished a weekly spread in my first Midori Traveler's Notebook (above) after long admiring the notebooks of others on Instagram and Pinterest. I just simulated the pages I like, for now, and can't wait to see what appears for me in the weeks to come. Ordered Getting There by Gillian Zoe Segal, after reading an excerpt: "Mad Men" Creator Matthew Weiner's Reassuring Life Advice For Struggling Artists. Reflected on these words by Olympic runner and poet, Alexi Pappas: "...I like having absolute freedom within boundaries." Adored Simon Helberg's portrayal of Cosme McMoon in Florence Foster Jenkins. Watched Michael Phelps swim his way toward his 23rd Gold Medal and constantly referred to as "old", while thinking about a 98 year old runner who continues to break world records. My thought for this week?